Breaking industry stereotypes by using innovative digital technologies and being agile is now the norm across industries. 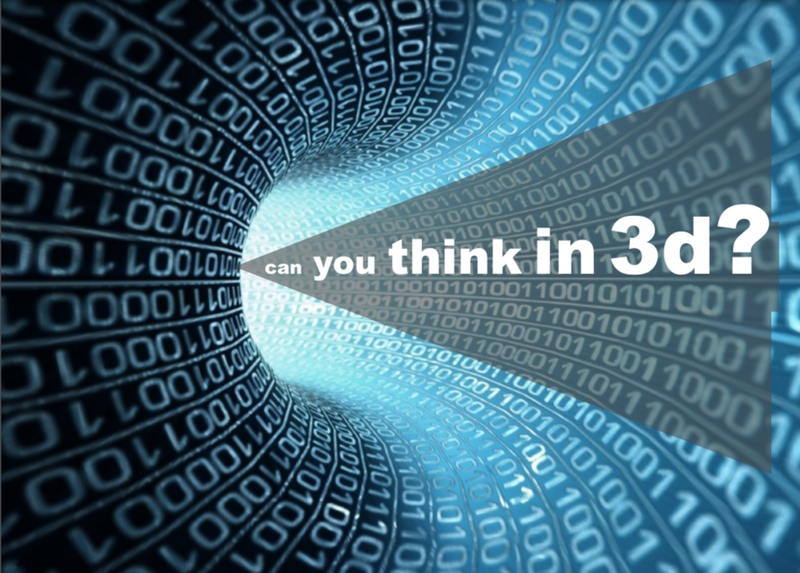 However, conventional leaders still face challenges thinking in one dimension and at best in two dimensions. However, as digital technologies disrupt to take over all industry types, in the way they operate and sell their products and services. Its high time now, the leaders should start thinking in three dimensions, which are Cultural Transformation, Digital Transformation and Operational Transformation. The details of each of these dimensions are detailed below, starting with the definition of each and followed by when it should be done at a high level. Cultural Transformation is a continuous journey of being agile in a way we think and do work, approach and solve problems. We should leverage digital & other technologies as they mature further so that we can build a culture of continuous technology adoption and maturity within the organization. This should start from the outset as the organization embarks on its transformation journey. 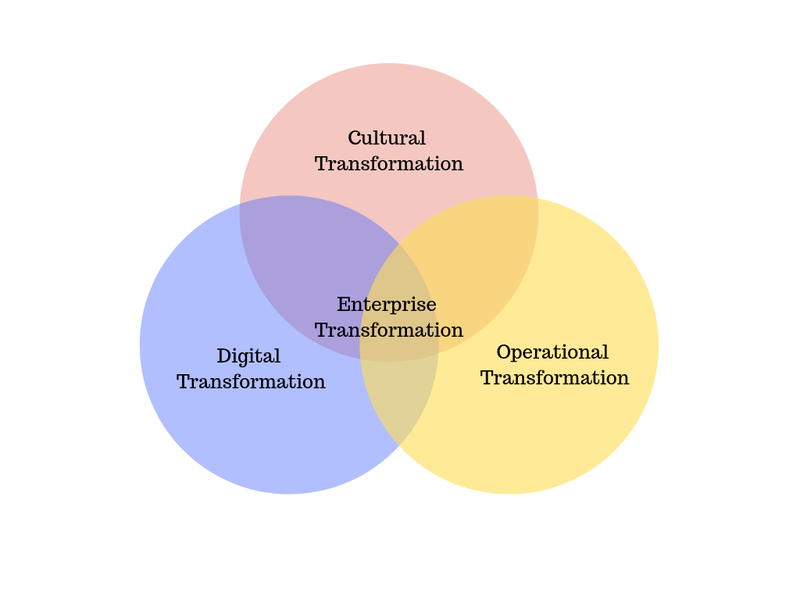 Additionally, refer to my other article on “Cultural Transformation an imperative to Digital Business Transformation” to delve further on how to achieve Cultural Transformation. Digital Transformation is a continuous journey in achieving digital maturity by using digital & other technologies along with organizations operating processes to create an agile digital culture. This should start as soon as the people within the organization have undergone training, coaching and mentoring on the adoption and implementation of digital & other relevant technologies. There is another buzzword in trend these days, which is Digital Business Transformation(a.k.a DBT). Digital Business Transformation is the continuous agile transformation of the business and the organisation by leveraging innovative disruptive digital technologies. Operational Transformation is a continuous agile journey to optimize efficient and effective business operations to support the organizations strategic business and financial goals. This is also the most important of the above two, as most of the innovative and disruptive ideas will emanate from the people who have deep expertise in all the various facets of business operations. This starts in parallel to the people undergoing exposure, training, coaching and mentoring on the adoption and implementation of digital & other relevant technologies. Now there is always an argument as Operational transformation starts soon after exposure, training of people, then how does it come thirdly. Because the exposure and training phase also becomes the ideation phase of the journey, as people are exposed to new technologies and new ways work can be accomplished by leveraging digital technologies. They develop ideas as to how work can be done using other innovative, disruptive ways, in turn achieving huge cost savings for the business. However, until you implement those digital solutions, the operational transformation journey will not begin. The operational transformation also enables and forces people to think out of the box or other disruptive ways to achieve the strategic goals, which usually creates new business paradigms within or outside the business. If the Leaders start thinking in these three stated dimensions, they will create an agile ecosystem within their organizations that will create small innovative and disruptive start-up hubs. This start-up culture will enable people and teams to do work differently by leveraging digital technologies, thus starting the journey of transforming the enterprise as a whole. These start-up hubs will be agile, cross-discipline teams, they listen, test, learn and iterate in real-time across the business or at the marketplace. Consequently, putting ideas into concrete action plans and enabling an experimental culture where failure is considered another opportunity for learning. These start-up teams then collaborate with the business teams to enable the successful solution’s to be rolled out across the whole business. Hence, starting/achieving the real enterprise transformation and taking their organizations to the next level maturity and digitization. Please do leave your thoughts & comments on this article in the comments section.